Wondering what to do this Christmas time? Looking for something unique or full of festive spirit? Over the last 5 years or so I have gone to see a show at Christmas time. For a lot of people this is a pantomime, but I tend to go for theatre productions. My all time favourite Christmas show was the Radio City Spectacular when I went to New York for New Year’s Eve. If you ever get the chance to go at Christmas it’s an absolute must! I’ve also seen the musical version of Miracle on 34th Street (although as one of my favourite Christmas films I struggled with it not being in the format I loved) the Snowman (which is definitely aimed at Children…) And this year I am seeing Elf the Christmas Spectacular. Tickets for both are available here: See Tickets- The Snowman, See Tickets- Elf A Christmas Spectacular. 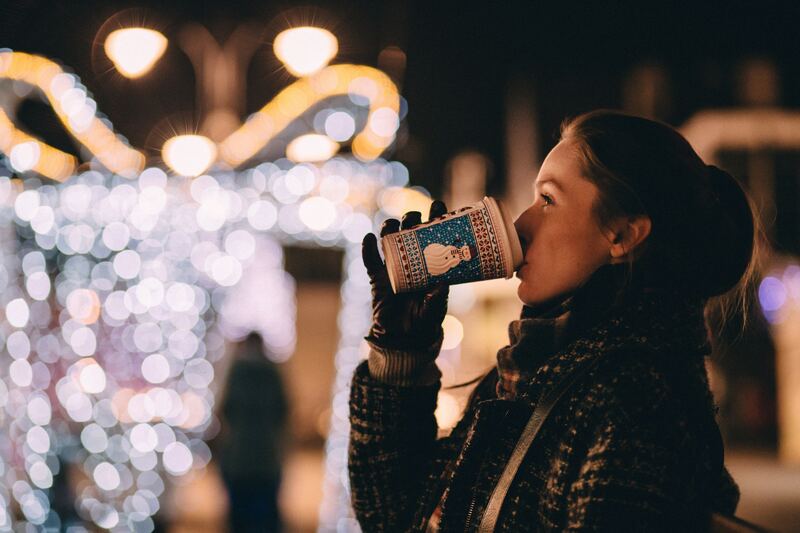 Don’t forget that you can make a coffee or lunch date that little bit more festive by choosing some food or drink options that are Christmassy! Personally I love Costa’s Christmas drinks menu. The Black Forest Hot Chocolate is my favourite! Starbucks, Café Nero and lots of other chains and independents will do a Christmas menu worth checking out! Food wise I always make it a habit to go to Greggs and get a ‘Festive Bake’ at least once before Christmas. Where are your favourite food and drink spots over Christmas? There are some things that are uniquely Christmas. One of those is ice skating. I don’t do it every Christmas but it is a great activity to get you in he festive mood. There are pop up ice rinks all around the country so you should be able to find one. There’s even one on top of the John Lewis building on Oxford Street which I’m visiting this year! You can get tickets here. Another activity I regularly do a Christmas time is the Winter Wonderland at Hyde Park. I find it’s a bit overrated and busy, but it does get you in the festive mood! This year I’m visiting the ‘Ice Kingdom’ full of all the ice sculptures, which I think will be very interesting! I find there’s nothing more Christmassy than seeing the twinkling of Christmas lights. Make sure to check out the Christmas lights in your area, but don’t be afraid to go further afield too! 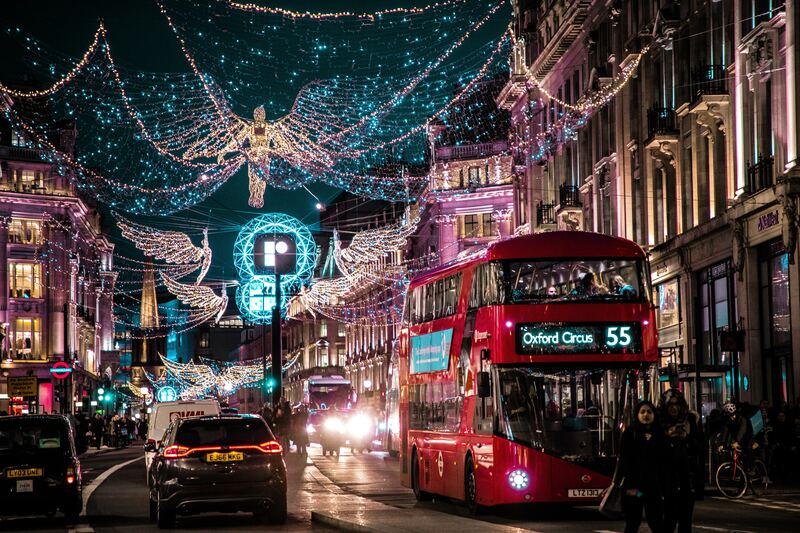 London always has magnificent Christmas lights, I usually visit to see the lights around Oxford and Regent Street, not forgetting the brilliant ones in Carnaby each year! Sometimes there are also special light displays or events. 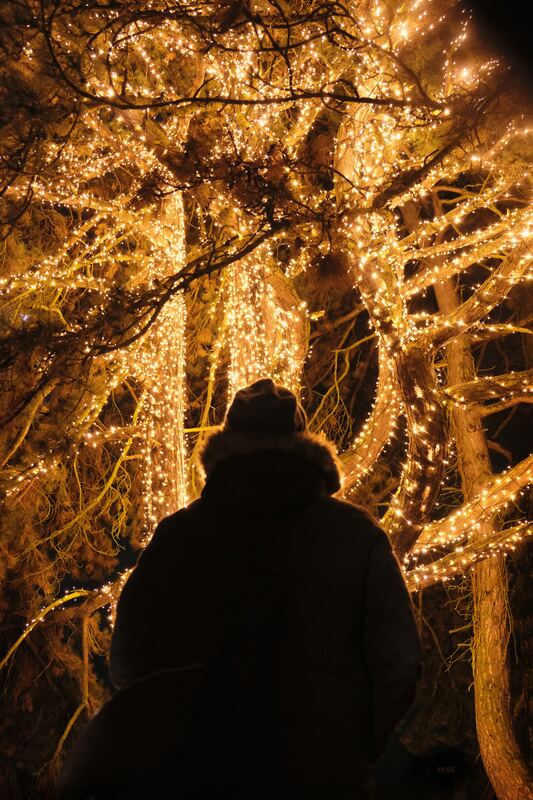 This year in Syon Park is the ‘Enchanted Woodland‘ where they are lighting up he park with a display of beautiful lights. I’m going to this for the first time this year and I think it will just be magical! When I go to London to see the lights I also revel in the Christmas window displays. The big department stores and even some of the smaller ones have beautiful and creative displays that are definitely worth seeing. 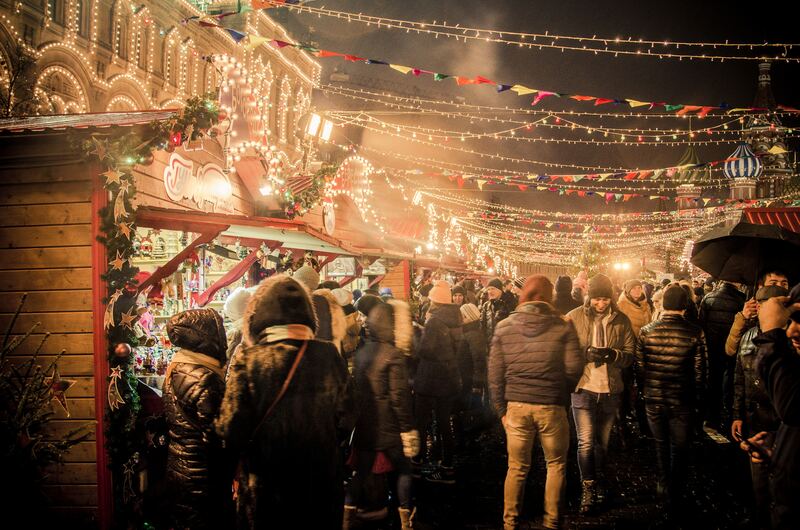 Most big cities will have Christmas markets. Grab some hot chocolate and a warm coat and look around all of the beautiful decorations, unique gifts and festive food. What makes for a more perfect day? I think this is underrated. I love having a day or evening with friends, sharing a Christmas dinner or sweet snacks and having a movie marathon of the best Christmas films! Christmas films make me feel so happy, to my core, because they are always so positive! It doesn’t matter how cheesy or predictable, they still make you smile. So what’s better than a whole day of that? !